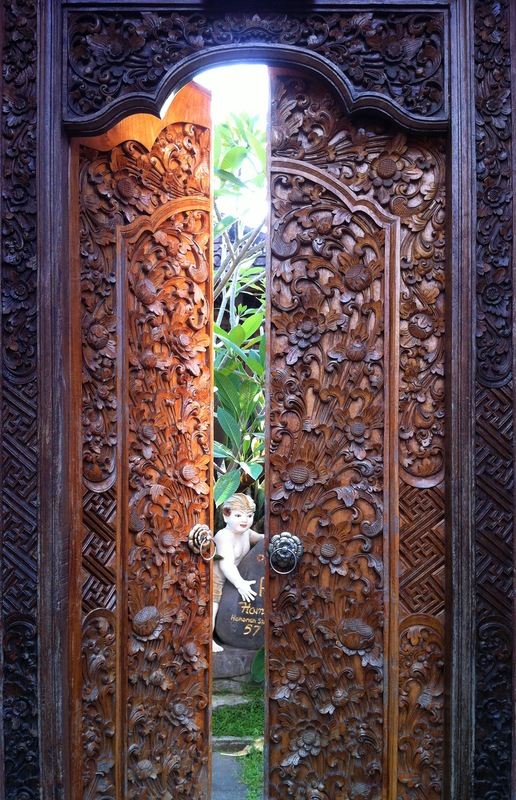 I’ve arrived to Bali for a short stay. 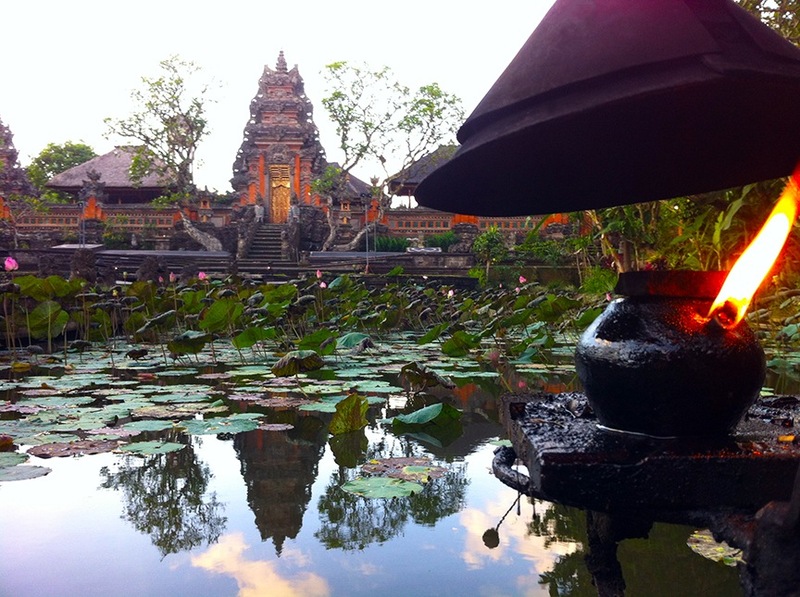 At the Ngurah Rai airport, I took a cab to Ubud, a small town of about 30,000 inhabitants located north of the airport and about ninety minutes away. After checking into my room, I went out for a stroll around town. Ubud is a major hub for all sorts of regional drifters and the cafes and restaurants brim with tourists from every corner of the world. Riding on this wave of opportunity, the city sports numerous galleries and handcraft stores. 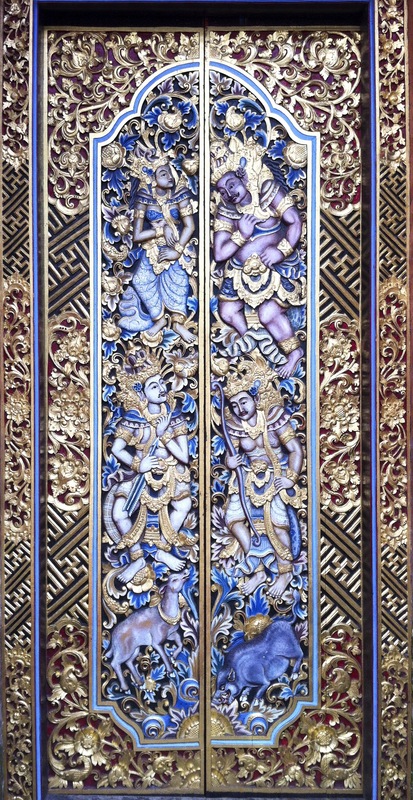 The main attractions are the wood carvings, Balinese textiles, and paintings. If you are interested in some wood or handmade crafts, the low currency exchange rate ($1= 11,910 Indonesian Rupiah) makes them very affordable. 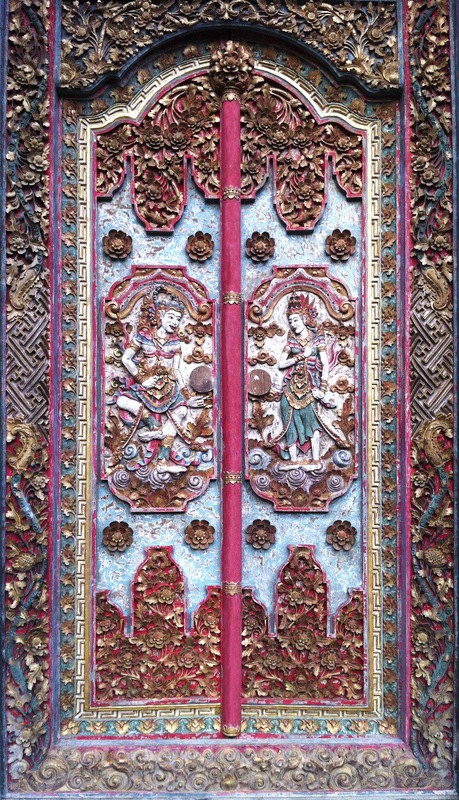 I visited a wood carver’s workshop in a nearby town and was amazed to find out that a hand carved teak house entrance door with elaborate screen and door frames was selling for abut $200-300 USD. Before the trip, I had a mental image of Bali being a paradise. Turns out I wasn’t wrong. The island is a lush tropical forest that is full of monkeys, bubbling streams, waterfalls, and hundred eighty degree panoramas of remote, semi-active volcanoes. 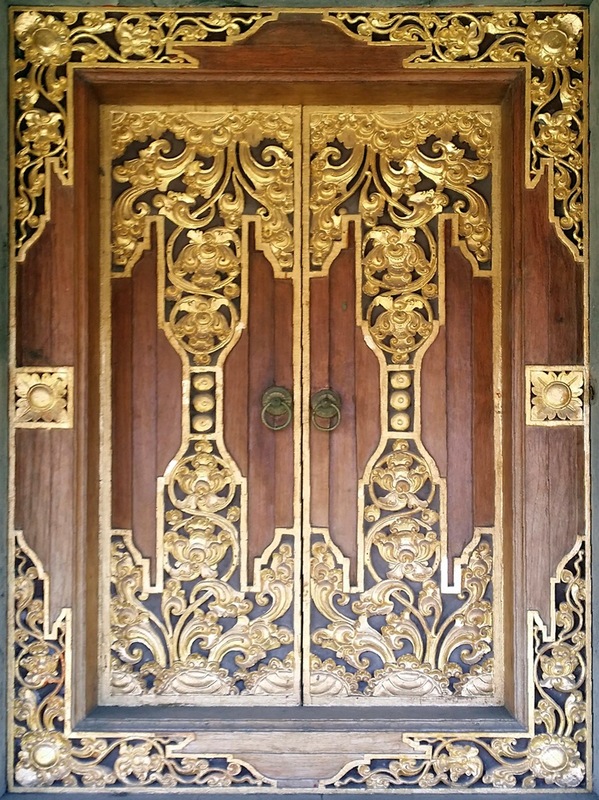 Unparalleled scenic beauty aside, the highlight of my visit was the doors, hands down. The streets in town have not been modernized yet and hence are a mixture of small business and old residential buildings. Because of the Hindu prominence, the island is covered with scores of temples which include large public structures like the Mother Temple of Besakih, small village temples, and endless family residential temples. The entrance to the family residences and temples has a standard architectural form: a brick or masonry wall that surrounds the property and terminates in a wooded entry door. 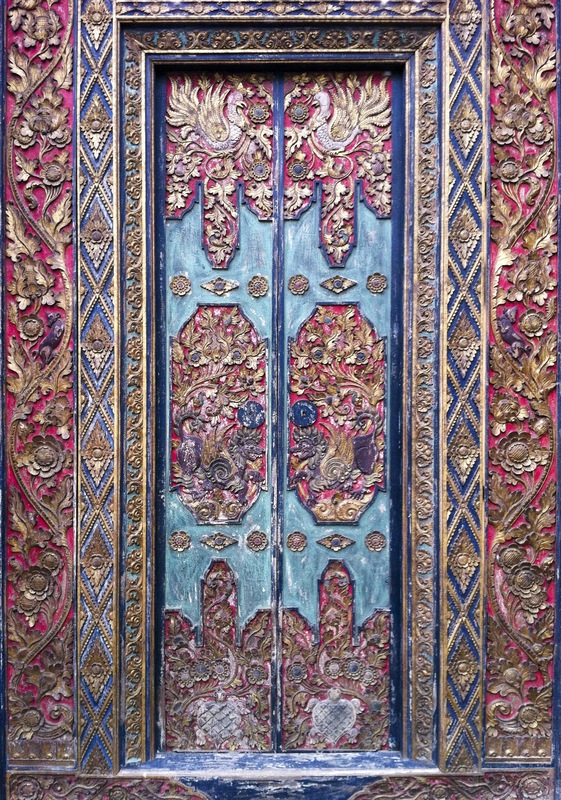 These doors are just magnificent and turned out to be the highlight of my trip. I must have seen dozens of them and as you can see all are equally awe inspiring in their detail and artistry.